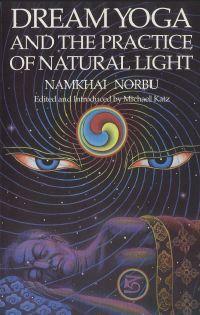 Dream Yoga and the Practice of Natural Light by Namkhai Norbu. Systems for dreamwork and dream awareness have been found for millennia within Buddhism, Taoism, Hinduism, Sufism, and traditional cultures throughout the world. These dreamwork systems were and are often still cloaked in secrecy and reserved for the initiate. The recorded dream experiences of traditional peoples whose cultures are still relatively intact may help expand our understanding of the possibilities of dream work and dream awareness, including the phenomena of lucidity, telepathy, and precognitive dreams. The possibility of developing awareness within the dream state and of subsequently having intensely inspiring experiences as well as the ability to control dreams is well documented. The practices outlined in this book shows how it is possible. GREAT JOB! MANY THANKS!! NAMASTE FROM BRAZIL!